Liverpool surrendered their advantage in the race for Champions League football once again after failing to score in a goalless draw against bogey side Southampton for the fourth time this season. James Milner's first penalty failure in more than seven years proved decisive as the Saints proved adept at denying their opponents - as they had done in the reverse league encounter and the two-legged EFL Cup semi-final in January. Liverpool's goal drought against the south-coast club now stands at 428 minutes since Daniel Sturridge scored in the 22nd minute of a 3-2 defeat at St Mary's in March last year. A point may have lifted them back into third, above Manchester City, but it left the door open for fifth-placed Manchester United and Arsenal, who both have matches in hand. Only two weeks ago Jurgen Klopp's side were in a similar position against Crystal Palace, knowing a win would strengthen their grip on a top-four spot with games running out, but contrived to lose. 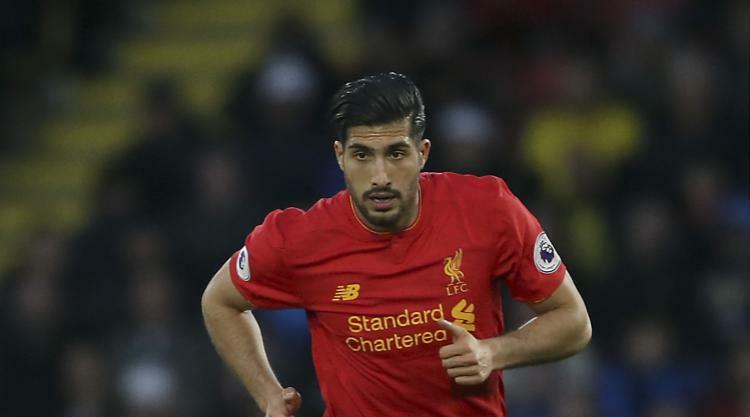 They regained the initiative with a hard-fought 1-0 victory at Watford on Monday, after their chasing rivals dropped points, thanks to a goal-of-the-season contender from Emre Can, but there was to be no magical moment this time around. Southampton, comfortable in mid-table, came with little ambition other than not to lose but Liverpool were the ones found wanting with the onus on them to break the opposition down. They had 65 per cent possession - Saints failed to have a shot on target in 90 minutes - but the only time they looked like threatening in the first half was when Oriol Romeu was robbed by Roberto Firmino but the Brazilian's shot was blocked by Ryan Bertrand. The five-across-midfield sitting-deep tactic has become a familiar sight at Anfield this season but it is employed because it is effective as Liverpool, without the pace of the injured Sadio Mane, struggle to open up teams even with Philippe Coutinho, recovered from the dead leg sustained at Watford on Monday, in their side. Such was the success of the plan 66 minutes passed before Liverpool genuinely threatened - and then it was courtesy of referee Bobby Madley who adjudged centre-back Jack Stephens had handled in a tussle with Divock Origi. After some delaying tactics by Fraser Forster and James Ward-Prowse, which earned the midfielder a booking, the usually-reliable Milner was thwarted by the goalkeeper's low dive to his right - his first miss in eight attempts this season and first since 2009 for Aston Villa against Bolton. Two minutes later Adam Lallana and Daniel Sturridge, who have both had recent injury issues, were sent on in an attempt to rectify the situation and made an immediate difference. Sturridge poked a shot straight at Forster after neatly side-stepping Stephens from Lallana's pass, with the England midfielder's vision providing a greater threat to Southampton's massed ranks. But as they pushed for a winner the hosts left themselves open at the back and goalkeeper Simon Mignolet was lucky to escape punishment after appearing to handle just outside his area under pressure from Dusan Tadic. However, Forster came to Southampton's rescue in added time when he tipped over substitute Marko Grujic's close-range header to leave the Saints fans singing "Four games and you still don't score" at the end.